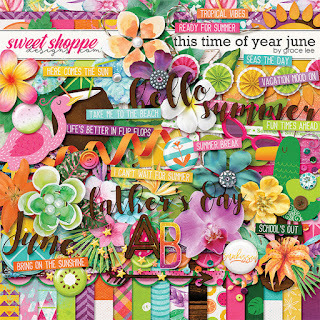 Time for the June installment of This Time of Year collaboration. 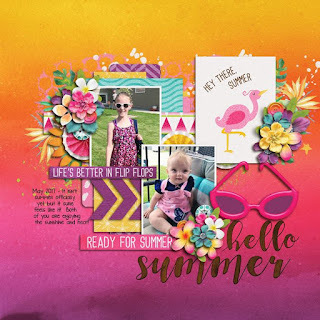 This Time of Year June ushers in the summer with bright tropical colors that will make you want to run outside and bask in the warm sunshine. 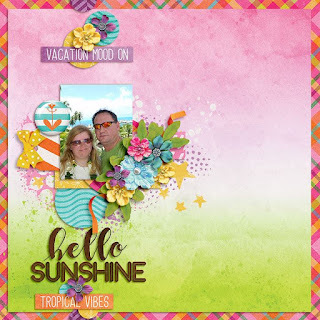 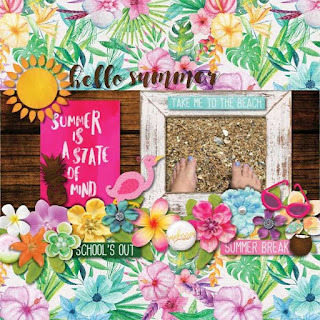 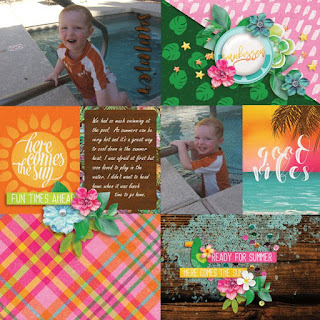 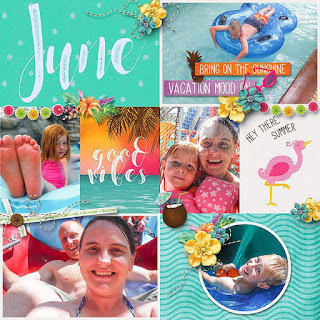 Document your trips to the beach and pool, vacations, and fun outings and family celebrations with this kit featuring unique elements from exotic birds to coconut drinks. 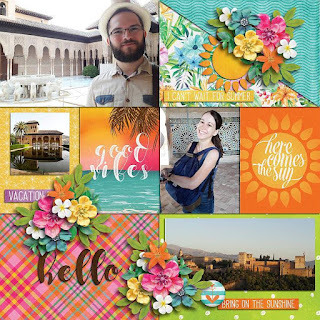 Check out the coordinating packs. 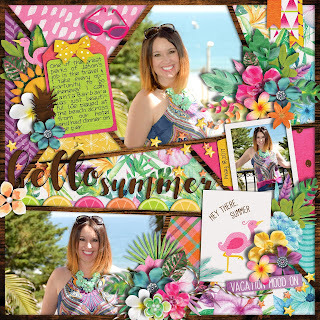 But the best deal is the bundle! 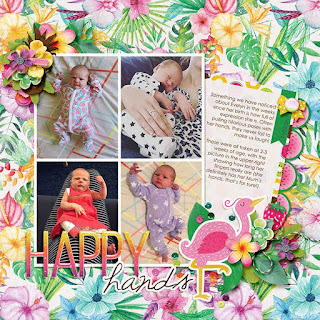 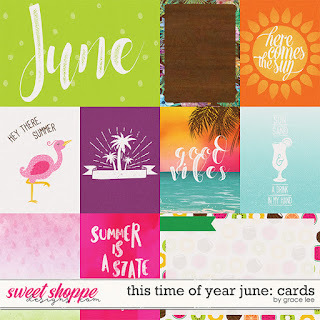 This Time of Year June: Bundle contains the kit, quick pages, templates and journal cards.